Busy London town was home to our next project. Two flats which were part of a large residential building had suffered minor water damage due to a leak from a water supply pipe to a toilet cistern. The incident was reported by the occupants of the flats and the damage was repaired almost immediately. 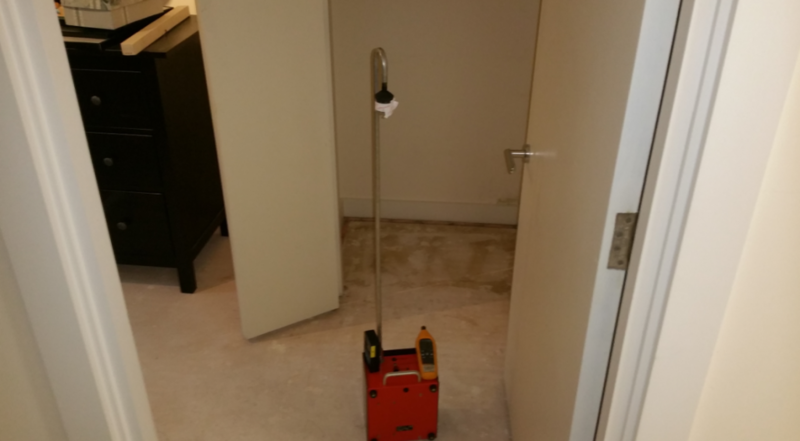 Dehumidifiers were put in place in the flats in order to dry the construction materials and the water damaged flooring was removed. 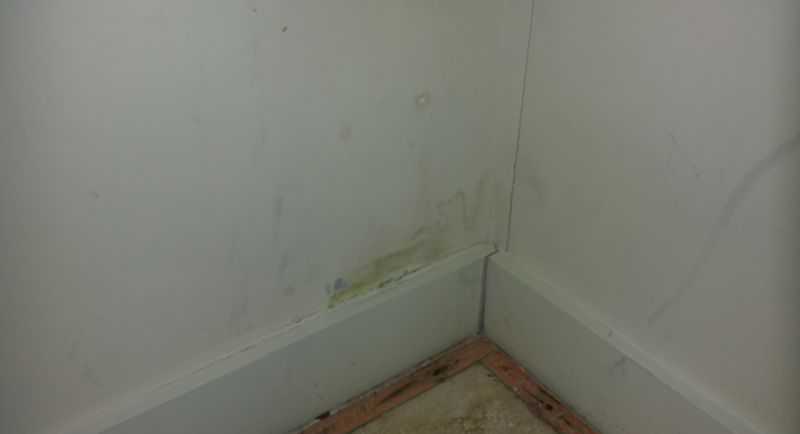 However since then a small patch of mould contamination had developed on the surface of a plasterboard wall inside a cupboard in one of the flats. This surface mould contamination was removed by wiping. Our client contacted us and requested that we carried out a property inspection of the two flats and non-culturable microbiological sampling. The purpose of our investigation was to evaluate the extent of the water damage and fungal contamination to the property and to also evaluate the risk to health of the occupants of the flats. How will we evaluate the extent of water damage? Our inspection of the property was limited to a visual inspection of all the rooms. We used a non-intrusive method in order to measure the moisture content within the construction materials. 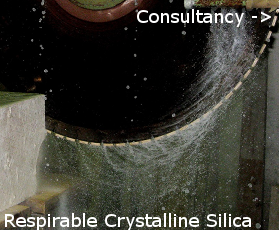 The non-intrusive method of choice was Moisture mapping which requires the use of specialist equipment called a Hydromette HB30 moisture meter and a Tramex moisture encounter plus. We also need to collect samples for airborne non-culturable moulds in order to test the indoor air quality of the property. The samples of airborne non-culturable moulds were collected onto Spore trap cassettes using a High flow 1600 air sampling pump. Once collected, these samples were sent to an accredited laboratory for analysis. From the results of moisture mapping and sampling and analysis we will then be able to evaluate the full extent of the water damage and fungal contamination to the flats and also the risk to health of the occupants. The visual inspection of the property did not identify any visible fungal contamination on the exposed surfaces within the apartments. Further inspection did not identify any areas within the property with significantly elevated moisture content in the construction materials. The results of the air sampling revealed that there is a significantly elevated fungal spore count in the bedroom and living room of one flat. Penicillium/Aspergillus spores were present in the flats which indicates past or existing fungal contamination and water damage. Although visible fungal contamination was not observed in the flats, fungal spores are likely to have settled on all the surfaces in the flats. We can conclude that none of the identified fungal species identified in the property are considered to be pathogenic in humans, however continuous exposure to a significant level of Penicillium spores, can lead to allergic respiratory reactions in some sensitive individuals. Therefore we recommend that the flats are thoroughly cleaned with anti-fungal treatments and adequately ventilated in order to reduce the fungal spore count back down to natural background levels.